Background: Quantification of fetal red blood cells (RBCs) in maternal blood is of great importance to calculate appropriate dose of post-deliver anti D immunoglobulin in a rhesus D (RhD)-negative woman. Objective: The aim of this study is to evaluate a direct immunofluorescence flow cytometry technique in artificial and clinical samples and compared it to the Kleihauer-Betke test (KBT). Methods: This study was a prospective cohort design. Blood samples from 26 pregnant women who gave birth to RhD positive babies were tested using direct immunofluorescence flow cytometry and KBT techniques to determine the amount of FMH in the maternal circulation. The zone of D-positive cells was identified employing artificial samples including 0.3%, 0.6%, 1%, 1.5%, 2%, 5%, 10%, and 50% of D-positive fetal cells in D-negative maternal cells. Results: Analysis of 26 clinical samples for FMH showed consistent quantification with the flow cytometry and Kleihauer techniques. Although a good correlation was found between the KBT and flow cytometry results, in artificial samples containing more than 2% of fetal RhD positive cells, the flow cytometry results were closer to theoretical percentages. In a patient with FMH >4 mL, the FMH and consequently the required vial of Ig were overestimated using KBT. Conclusion: Most of the FMH calculated could have been neutralized by doses less than 625 IU, whereas the routine dose in Iran is more than double that amount (1500 IU). This achievement demonstrates that adjusting between the RhD immune globulin (RhDIg) dose and FMH size is inevitable. Dajak S, Stefanovic V, Capkun V. Severe hemolytic disease of fetus and newborn caused by red blood cell antibodies undetected at first-trimester screening (CME). Transfusion. 2011;51(7):1380- 1388. doi:10.1111/j.1537-2995.2010.03006.x. Daniels G. The molecular genetics of blood group polymorphism. Hum Genet. 2009;126(6):729-742. doi:10.1007/s00439-009-0738-2. Avent ND, Reid ME. The Rh blood group system: a review. Blood. 2000;95(2):375-387. Heitman J, Agre P. A new face of the Rhesus antigen. Nat Genet. 2000;26(3):258-259. doi:10.1038/81532. Conroy MJ, Bullough PA, Merrick M, Avent ND. Modelling the human rhesus proteins: implications for structure and function. Br J Haematol. 2005;131(4):543-551. doi:10.1111/j.1365-2141.2005.05786.x. Van Kim CL, Colin Y, Cartron JP. Rh proteins: key structural and functional components of the red cell membrane. Blood Rev. 2006;20(2):93-110. doi:10.1016/j.blre.2005.04.002. Pourfathollah AA, Oody A, Honarkaran N. Geographical distribution of ABO and Rh (D) blood groups among Iranian blood donors in the year 1361(1982) as compared with that of the year 1380 (2001). Sci J Iran Blood Transfus Organ. 2004;1(1):11-17. Pelikan DM, Scherjon SA, Mesker WE, et al. Quantification of fetomaternal hemorrhage: a comparative study of the manual and automated microscopic Kleihauer-Betke tests and flow cytometry in clinical samples. Am J Obstet Gynecol. 2004;191(2):551-557. doi:10.1016/j.ajog.2004.01.007. Ali MS, El Amin AY, Gamal M, Abdulla N, Mohamed A. Foetal maternal haemorrhage detection with the Kleihauer technique for postnatal immunoglobulin dose evaluation in Sudan. NZ J Med Lab Science. 2005;59(1):6-9. Ramsey G. Inaccurate doses of R immune globulin after rh-incompatible fetomaternal hemorrhage: survey of laboratory practice. Arch Pathol Lab Med. 2009;133(3):465-469. doi:10.1043/1543-2165-133.3.465. Regan F, Kumar S, Contreras M. Haemolytic disease of the newborn and its prevention. In: Contreras M, ed. ABC of Transfusion. 4th ed. Chichester, UK: Wiley-Blackwell Pub; 2009:27-32. Crowther C, Middleton P. Anti-D administration after childbirth for preventing Rhesus alloimmunisation. Cochrane Database Syst Rev. 2000(2):Cd000021. doi:10.1002/14651858.CD000021. 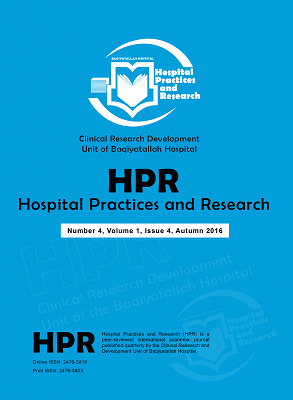 Payam Khaja Pasha R, Shokri F. Immunologic basis and immunoprophylaxis of RhD induced hemolytic disease of the newborn (HDN). Iran J Immunol. 2008;5(4):189-200. Stedman CM, Baudin JC, White CA, Cooper ES. Use of the erythrocyte rosette test to screen for excessive fetomaternal hemorrhage in Rh-negative women. Am J Obstet Gynecol. 1986;154(6):1363-1369. doi:10.1016/0002-9378(86)90725-8. Sebring ES, Polesky HF. Detection of fetal hemorrhage in Rh immune globulin candidates. A rosetting technique using enzyme-treated Rh2Rh2 indicator erythrocytes. Transfusion. 1982;22(6):468-471. doi:10.1046/j.1537-2995.1982.22683068604.x. Bayliss KM, Kueck BD, Johnson ST, et al. Detecting fetomaternal hemorrhage: a comparison of five methods. Transfusion. 1991;31(4):303-307. doi:10.1046/j.1537-2995.1991.31491213292.x. Hoyer JD, Penz CS, Fairbanks VF, Hanson CA, Katzmann JA. Flow cytometric measurement of hemoglobin F in RBCs: diagnostic usefulness in the distinction of hereditary persistence of fetal hemoglobin (HPFH) and hemoglobin S-hPFH from other conditions with elevated levels of hemoglobin F. Am J Clin Pathol. 2002;117(6):857-863. doi:10.1309/A63X-HG9T-VYG2-X6TX. The estimation of fetomaternal haemorrhage. BCSH Blood Transfusion and Haematology Task Forces. Transfus Med. 1999;9(1):87-92. Wylie BJ, D’Alton ME. Fetomaternal hemorrhage. Obstet Gynecol. 2010;115(5):1039-1051. doi:10.1097/AOG.0b013e3181da7929. Kim YA, Makar RS. Detection of fetomaternal hemorrhage. Am J Hematol. 2012;87(4):417-423. doi:10.1002/ajh.22255. Nath S, Vidyasagar D. Detection of fetomaternal hemorrhage. Indian J Pediatr. 1990;57(5):611-613. doi:10.1007/BF02728698. Kumpel BM. Analysis of factors affecting quantification of fetomaternal hemorrhage by flow cytometry. Transfusion. 2000;40(11):1376-1383. doi:10.1046/j.1537-2995.2000.40111376.x. Porra V, Bernaud J, Gueret P, et al. Identification and quantification of fetal red blood cells in maternal blood by a dual-color flow cytometric method: evaluation of the Fetal Cell Count kit. Transfusion. 2007;47(7):1281-1289. doi:10.1111/j.1537-2995.2007.01271.x. Woodfield G, Davis K, Francis A, et al. Guidelines for laboratory assessment of fetomaternal haemorrhage. Sydney: Australian and New Zealand Society of Blood Transfusion Inc; 2002. Kleihauer E, Braun H, Betke K. [Demonstration of fetal hemoglobin in erythrocytes of a blood smear]. Klin Wochenschr. 1957;35(12):637-638. doi:10.1007/BF01481043. Mollison PL. Quantitation of transplacental haemorrhage. Br Med J. 1972;3(5817):31-34. doi:10.1136/bmj.3.5817.31. Austin E, Bates S, de Silva M, et al. Working Party of the British Committee for Standards in Haematology, Transfusion Taskforce. Guidelines for the Estimation of Fetomaternal Haemorrhage; 2009. Lloyd-Evans P, Kumpel BM, Bromelow I, Austin E, Taylor E. Use of a directly conjugated monoclonal anti-D (BRAD-3) for quantification of fetomaternal hemorrhage by flow cytometry. Transfusion. 1996;36(5):432-437. doi:10.1046/j.1537-2995.1996.36596282587.x. Nelson M, Zarkos K, Popp H, Gibson J. A flow-cytometric equivalent of the Kleihauer test. Vox Sang. 1998;75(3):234- 241. doi:10.1046/j.1423-0410.1998.7530234.x. Davis BH, Olsen S, Bigelow NC, Chen JC. Detection of fetal red cells in fetomaternal hemorrhage using a fetal hemoglobin monoclonal antibody by flow cytometry. Transfusion. 1998;38(8):749-756. doi:10.1046/j.1537-2995.1998.38898375514.x. Davis B, Olsen S, Bigelow N, Chen J. Detection of fetal red cells in fetomaternal hemorrhage using a fetal hemoglobin monoclonal antibody by flow cytometry. Obstet Gynecol Surv. 1999;54(3):153-154. doi:10.1097/00006254-199903000-00004. Kennedy GA, Shaw R, Just S, et al. Quantification of feto-maternal haemorrhage (FMH) by flow cytometry: anti-fetal haemoglobin labelling potentially underestimates massive FMH in comparison to labelling with anti-D. Transfus Med. 2003;13(1):25-33. doi:10.1046/j.1365-3148.2003.00416.x.